Foundation North’s new Gulf Innovation Fund Together has committed its first tranche of funding following a series of ‘innovation labs’ and an ‘igniting ideas’ panel. The fund is offering an initial $50,000 for early stage prototyping of ideas that respond to the issues identified in the Forum’s State of our Gulf assessments. Foundation North has allocated $5 million to the fund over five years. Further proposals are being sought. 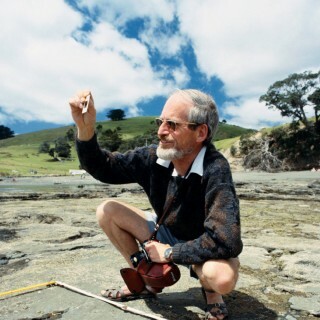 The second Bill Ballantine Memorial Lecture on Thursday March 2 will look at the proposed Sea Change Tai Timu Tai Pari marine spatial plan and the prospects for the restoration of horse mussel beds in the Gulf. Alison Henry and Prof Simon Thrush will lead discussions from 7-8.30 pm in Lecture theatre 4 in the Owen Glenn Building, University of Auckland. 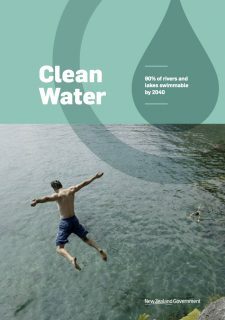 The Government has set a new target for the quality of freshwater in New Zealand. It aims to make 90 percent of the country lakes and rivers swimmable by 2040. New policy, regulations, information maps and funding was announced to help achieve the goal. Submissions on the plan close on Friday 28 April 2017. 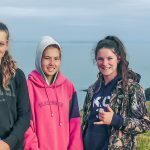 A new Explore the Gulf poster series has been produced by the Hauraki Gulf Forum, in partnership with the New Zealand Herald and Young Ocean Explorers. The posters illustrate species found in the shallow, mid and deeper water environments of the marine park. 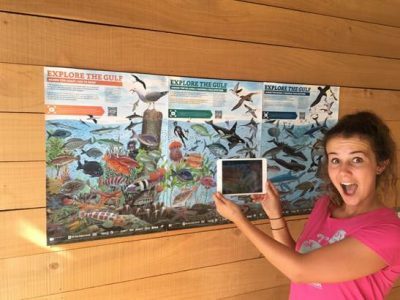 They also feature ‘Young Ocean Explorer’ Riley Hathaway and downloading an App will unlock video content about many species on phones and devices. They appeared with the New Zealand Herald on February 27, 28 and March 1 and extra copies can be requested from Gulfposters@aucklandcouncil.govt.nz. 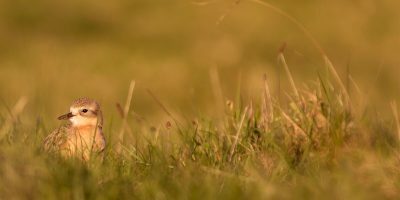 The Local Government and Environment Select Committee is currently considered a bill to enable development of housing on public reserve land at Point England. The development would impact on the last remaining shorebird roosting areas on the Tāmaki Estuary. A public petition to “Save Point England” attracted 1848 signatures. Friends of Ann Holdaway, who passed away on 11 January 2017 at Northbridge Hospital age 91, were invited to wear colourful clothing to her funeral in recognition of her life. 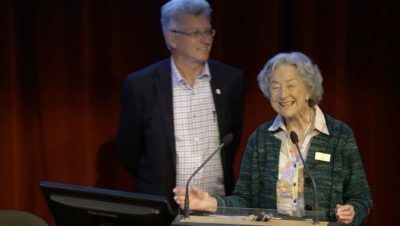 Ann attended the Forum’s last four Hauraki Gulf Marine Park Seminars to help present the Holdaway Award, which recognises the contributions of her late husband Jim in the establishment and promotion of the Hauraki Gulf Marine Park. Great Barrier Island’s penguins will be better off thanks to the efforts of the Thomas family and Sustainable Coastlines. 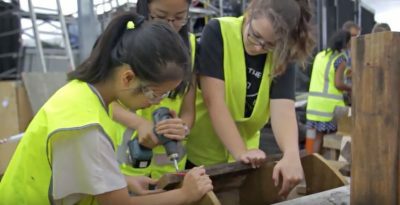 Thirty one participants in the MAD (Make a Difference) youth sustainability programme helped built 18 penguin boxes in two hours using power tools and donated timber. Check out Michael Jessup’s youtube film put together during Seaweek. Have trouble pronouncing Māori words? 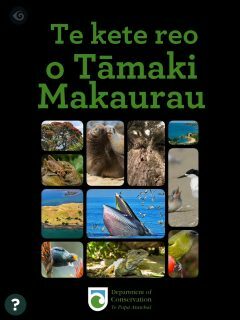 A new Department of Conservation App, ‘Te kete o Tāmaki Makaurau’, has been designed to help people identify and pronounce the names of popular places, animals, and plants in the Tāmaki Makaurau/Auckland region in Te Reo Māori. The app enjoyed the highest number of downloads in one day and recently sat as the third most downloaded app in New Zealand. 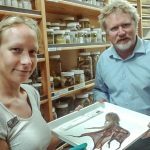 More Coromandel brown kiwi will be introduced to Motutapu Island, thanks to funding in the latest round of the Department of Conservation Community Fund. 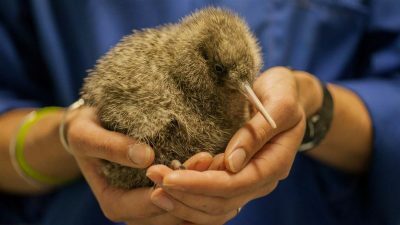 A $28,526 grant will allow the transfer at least 16 more Coromandel brown kiwi to the island to establish a genetically viable population of 40 to 50 birds. The project has translocated 24 birds to date. 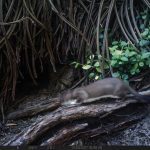 Nine Auckland community-led conservation projects received funding, including for a new iwi ranger on Motuora Island and restoration work at Whenua Rangatira, New Zealand’s first co-governed public park created under the Orakei Act. 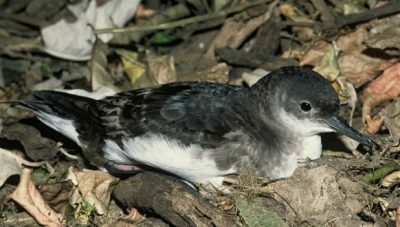 The Department of Conservation is concerned that protected seabirds have been shot in the Gulf. At least five fluttering shearwaters with bullet holes were floating in the water near Little Barrier Island over Auckland Anniversary weekend. Fluttering shearwaters have a conservation status of ‘relict’, meaning they have a small but stable population, and like all seabirds are absolutely protected by the Wildlife Act. Anyone harassing or harming them could be liable for prosecution and face a jail term of up to two years or a fine of up to $100,000. The Waikato Regional Council has published a stocktake of information on marine biodiversity in the Waikato region. The report covers different ecological groups (benthic communities, estuarine and coastal vegetation, fish, birds and marine mammals) and four important subtidal biogenic habitats (rhodolith beds, shellfish beds, seagrass beds and sponge gardens). 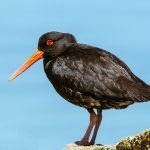 It assesses the sensitivity of species and habitats to specific pressures and their significance for biodiversity in the Waikato coastal marine area. 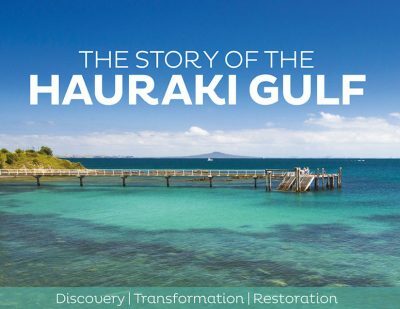 Raewyn Peart’s book The Story of the Hauraki Gulf, launched in September, has already been reprinted due to popular demand. It appeared in the Listener’s Best 100 Books of 2016 and in the New Zealand Herald’s Best Books of 2016. 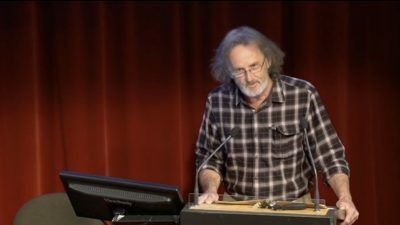 A talk by NZ Geographic magazine founder Kennedy Warne at a recent Hauraki Gulf Marine Park Seminar has been included in 2017 edition of Tell You What: Great New Zealand Nonfiction. The talk explores Kennedy’s connections to the Gulf. Kennedy also visited Great Barrier in December, reporting his visit to the black petrel colony and impressions of the island to Nine to Noon’s Kathryn Ryan. The ground-breaking Islands of the Gulf TV series made in the 1960s is being remade by daughter of original presenter Shirley Maddock. Islands of the Gulf was (narrowly) New Zealand’s first, locally-made TV documentary series — written, presented, directed and produced by the country’s first female producer, Shirley Maddock. Actress, playwright and travel writer Elisabeth Easther follows her mother’s footsteps catching up with people and changes to the Gulf’s islands. The new series will screen in June. 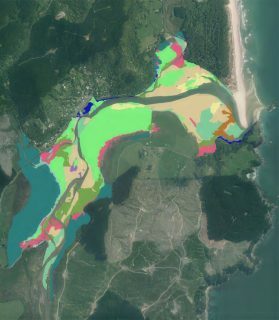 Waikato Regional Council has opened the tender round for 240 hectares of the Coromandel Marine Farming Zone. Interest in fish farming has prompted the council to begin the process of releasing space in the 300 hectare zone. The area was created in 2011 for fish farming but demand waned due to the global financial crisis. 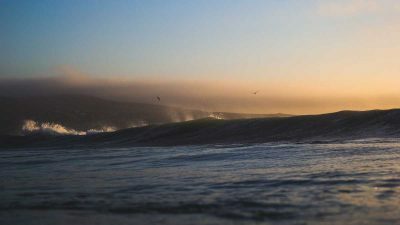 Twenty percent of the zone will be allocated to the Takutai Trustee (managed by Te Ohu Kaimoana) under the terms of the Maori Commercial Aquaculture Claims Settlement Act. The release of the remaining 80 percent of the zone will occur through a weighted-attribute tender process. Criteria for selection focus on socio-economic benefits and environmental standards. 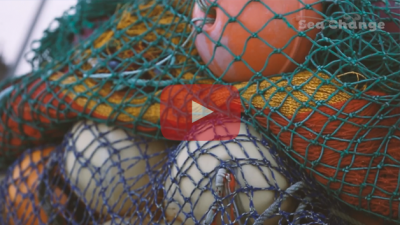 The successful bidder or bidders must obtain resource consent before commencing fish farming. 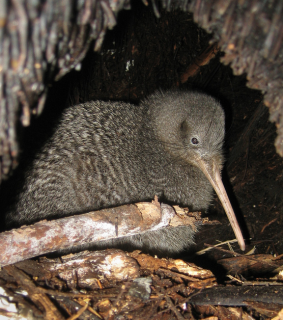 Shakespear Open Sanctuary is due to receive 40 little spotted kiwi in April and a further 20 birds in 2018. The sanctuary offers a safe habitat of 500 ha which can contribute to the overall population growth of the smallest of New Zealand five kiwi species. 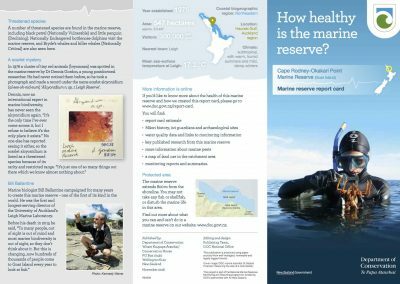 The Department of Conservation is publishing report cards to provide a summary of the health of marine reserves. The first two are for the Cape Rodney to Okakari Point Marine Reserve at Leigh and Tawharanui Marine Reserve. Both show declining numbers of rock lobsters. The Department of Conservation expects to undertake a pest eradication operation on Rakitu Island near Great Barrier in the 2017/18 financial year. 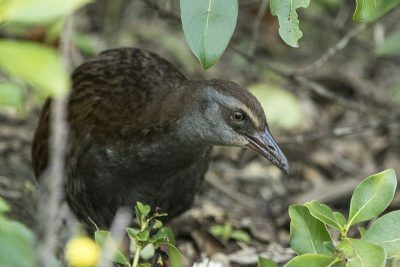 The Weka Recovery Group recently confirmed that weka introduced from the mainland many years ago function provide important security for the species. Planning will take retention of the weka population into consideration. A Hauraki Gulf / Tikapa Moana marine spatial plan launched in December after three years work by a stakeholder working group is available on the Sea Change – Tai Timu Tai Pari project website. The proposed plan contains five pathways designed to create long-term health and wellbeing for the Hauraki Gulf Marine Park. Transitions to high value wild caught and farmed fisheries, the creation of marine reserves areas and scaled up restoration initiatives, setting load limits and mitigation for sediment and nutrients, local-scale coastal management and ambitious public engagement are outlined in the December issue of the Gulf Journal.